Wiz Khalifa has opened up about his tribute song for Paul Walker in the latest Fast and Furious film, saying it “connects with so many people”. 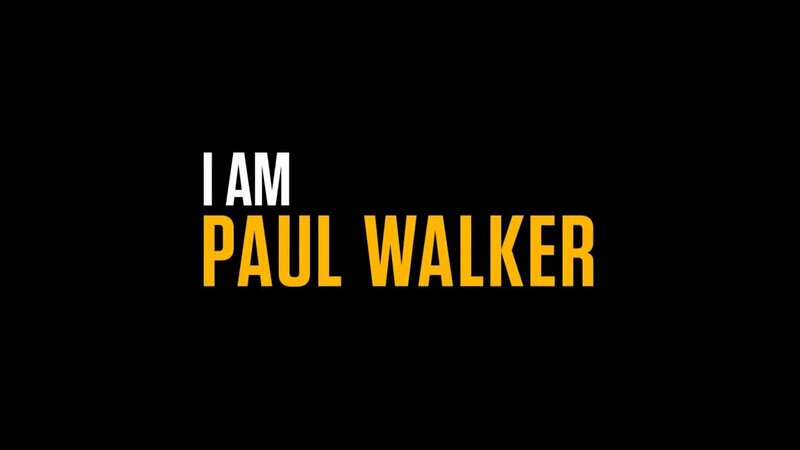 His song See You Again was used in the Furious 7 soundtrack , reportedly as Paul is seen driving off into the distance with the hit playing in the background. The poignant tune, which features Charlie Puth on vocals, has since become the quickest-selling single of the year. He explained vocalist Charlie initially wrote the lyrics about a friend who died in a car crash, and Wiz later took it over. Paul Walker was killed in a car crash on 30 November 2013 when the Porsche he was travelling in as a passenger hit a tree and caught fire. The track marks Khalifa’s second appearance at the top of the Official Singles Chart after reaching the summit back in 2012 guesting on Maroon 5’s Payphone. See You Again also sets a new streaming record, racking up 3.68 million streams in seven days and smashing past Ellie Goulding’s Love Me Like You Do. The news comes as it was revealed that Fast and Furious 7 has officially become the fastest film to make $1 billion at the box office. Not only was Furious 7 the most action-packed instalment in the franchise, it was also a beautiful tribute to the late Paul Walker. Many fans walked into theatres not knowing what to expect. How would the movie handle his absence? How did they continue Brian O’Conner’s storyline considering Paul tragically passed away halfway through filming? Even more intriguing, how was the film going to complete Paul’s unfinished scenes? Following Paul’s untimely death, it was revealed that his two brothers, Caleb and Cody Walker would be standing in for him and helping with the production of the new enthralling movie. Since Furious 7‘s release on April 3rd, we’ve been given a deeper insight to how Paul Walker’s performance was accomplished. Cody and Caleb Walker, John Brotherton and a combination of CGI helped recreate Paul Walker for his unfinished scenes. Visual effects artists then replaced their faces with Paul Walker’s face to create such impressive scenes. Without a doubt, did they make it work! The final scene which was so perfectly brought together, tugged at our heartstrings. Paul’s face was obviously digitally animated, but it worked superbly. Wan done absolute justice to Paul’s character and his scenes were handled with great respect. Although a lot of visual effects were used, there’s no denying that Paul Walker’s presence was there throughout the movie. What a beautiful way to send him off, we’re sure every fan of his and of this series will be pleased. I’ve just added some high quality movie stills and promotional images from Paul’s final movie, Furious 7. I’ve also added a couple of on set photos from when his brothers were helping them finish the filming of the movie. Hope y’all enjoy! Screencaps will go up as soon as the bluray is released! Sorry for the long delay, but I’ve finally added high quality bluray screen captures of Paul from Brick Mansions. Hope y’all enjoy. Video Archive is Now Online! The video archive is now online! There aren’t many videos added yet, but I plan on filling it with tons and tons of videos of Paul relating to movie projects, interviews, and much much more. Feel free to check it out soon, and I’ve also added brand new layouts on the main site and gallery to match the video archive. Hope you all enjoy reminiscing!